Seventy years after Israel’s declaration of statehood and the war that followed, peace with Palestinians and Arabs seems no closer. Political scientist Menachem Klein talks about some of his nation’s successes and failures, and about the road ahead. The State of Israel had a difficult birth. Its passage to adulthood has been no less distressed and painful. While it has succeeded in warding off many attackers, it remains unable to find peace with many of its inhabitants and most of its neighbors. Is there a way forward? Israeli author, political scientist and peace negotiator Menachem Klein has long been an active proponent of Israeli-Palestinian peace and in 2000 served as an adviser to the Israeli government. Three years later he was a signatory to the Geneva Agreement, which detailed a comprehensive peace accord. New Republic named his Lives in Common: Arabs and Jews in Jerusalem, Jaffa and Hebron (2014) one of the year’s best nonfiction books. Klein discusses Israel at 70 with Vision publisher David Hulme. 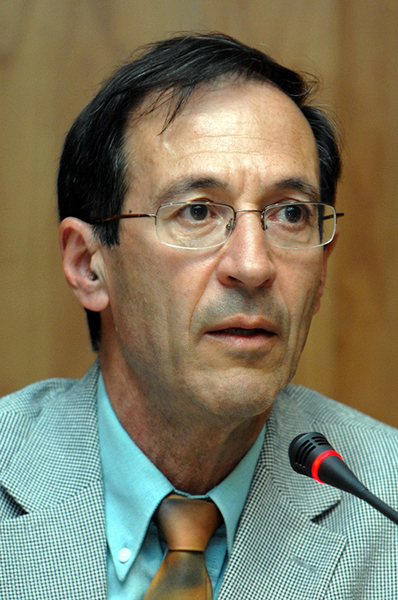 Menachem Klein is a professor in the Department of Political Studies at Israel’s Bar-Ilan University. He has also been a fellow at St. Antony’s College, Oxford University; a visiting professor at MIT; a visiting scholar at Leiden University in the Netherlands; and a visiting research fellow at King’s College London. DH The State of Israel has arrived at its 70th anniversary. Has it lived up to the expectations of its founders? MK Israel’s founders wanted it to survive and establish itself as a powerful state. In that, Israel lives up to their expectations. However, Ben-Gurion used to talk of Israel as a “light for the nations.” For him Israel has a moral mission beyond its physical existence. From this perspective, Israel does not live up to Ben-Gurion and his colleagues’ expectations. It’s not only the occupation of Palestinian people that has a few unpleasant similarities to apartheid but also the corruption and criminality of relatively not a few of its senior politicians. Former president, prime minister, ministers, Knesset members, mayors and city council members have been sentenced and imprisoned. In addition, Netanyahu is expected to be indicted; at least, the police have recommended that the attorney general do so. DH It’s certainly easy to get the impression that political corruption is almost endemic in Israel. If that is an accurate perception, how do you account for this failure to be the light that Ben-Gurion hoped for? MK It’s not just an impression but facts on the legal ground. My explanation for this is cultural: we lack the culture of things that “cannot be done,” but once done and exposed, we further lack a culture where the guilty admit their wrongs and immediately leave office. DH There are, no doubt, other significant missed opportunities of the past 70 years. MK Yes. Unwillingness to make peace with our Palestinian neighbors, and make concessions leading to peace with Egypt prior to the 1973 war. We could have saved many lives of our fellows and foes. We, unfortunately, fell in love with the territories we occupied in 1967. We became victims of our big victory. In addition, we should do better in basing our democracy on citizenship first rather than principally on Jewish ethnicity. MK It’s still unclear who that “own” is. Jews? Israelis? On the one hand, our physical existence and peoplehood are undeniable. On the other hand, it’s hard for us to agree that the state belongs first and foremost to its citizens, not to a worldwide nation. It’s also hard for us to agree that the Palestinians are natives as we are, and have collective rights and collective attachment to the place. We should acknowledge that. DH Jerusalem is back on the international agenda since President Trump recognized the city as Israel’s capital and agreed to relocate the US embassy there. What can we expect from these decisions on the ground? MK First, it encourages Israel to harden its political positions and go further in implementing what Secretary [John] Kerry called separate and unequal policy. Second, it harms the US’s international status as an honest broker. DH With respect to the viability of the two-state solution, what’s your assessment in light of the breakdown between the US administration and the Palestinian Authority (PA)? MK If the present US administration wants to save its international status, it should build a coalition of peace brokers, not act unilaterally to impose its positions. I don’t mean losing the lead internationally, but I do mean joining forces with West European states, based on international law and UN resolutions. DH What is the significance of the PA’s closing ranks with Hamas? MK Palestinian internal division weakens the PA and is an obstacle on the road to peace. What Fatah and Hamas should agree on is the rules of their political game. The international community should not continue excluding Hamas once they agree with Fatah on a united government or general elections. Political engineering never succeeds in the long run. DH What do you anticipate from the recent Saudi warming of relations with Israel? MK Not much. Intelligence cooperation against Iran and a few symbols of normalization cannot go too far without peace with the PLO. It’s a basic reality of Saudi Arabia being a Muslim country—how far Muslim regimes can go against their people’s beliefs. 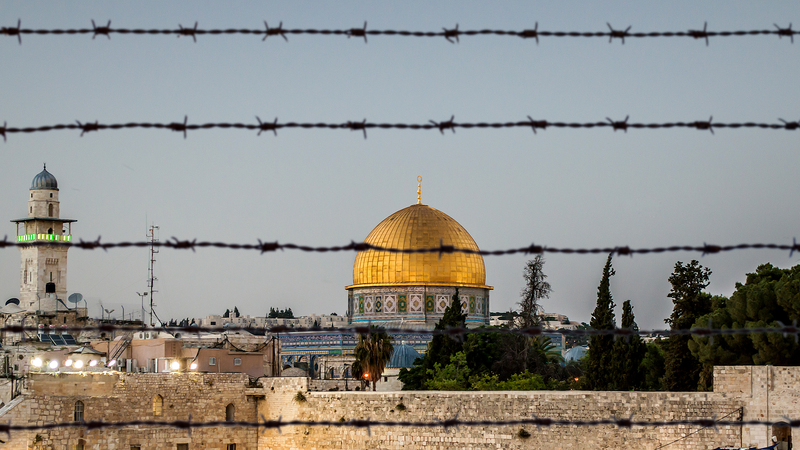 Worldwide, Muslims are unwilling to let Israel rule Haram al-Sharif/the Temple Mount exclusively or to legitimize it. The PLO/Palestinians hold the key to Israel’s relations with the Arab world, not the other way around. The Arabs do not hold the key to the Palestinian problem. DH You’ve written about a category of people whom you term “Arab Jews.” Who were/are they, and how is this identity helpful? MK They were those who lived in common with their Arab neighbors throughout the Middle East since the late 19th century, when modern nationalism entered the region. Some Jews were active in Arab nationalist movements and local politics. Not every Jew was actually Zionist or excluded from his or her majority society. With the introduction of identities other than religious Jews, more integrated into their societies. In other words, Arab Jews in Palestine shared local identity, meaning Palestinian identity, with their non-Jewish compatriots. Local patriotism was not exclusively Arab or Jewish. It’s hard to imagine that this reality existed, but we must not delete it from our collective memory. It’s a useful perspective, because if we grant it new meaning for today, it can help reframe a solution. A contemporary Jewish-Arab identity would mean close ties between Israel and the Arab countries. DH So it seems that an entirely new approach to Middle East peace is needed. As a peace negotiator, do you see a way forward? MK We need to find new roads to achieving it from where we are today, and build the needed amendments into our model. I do not see the one-state model as less problematic than the two-states model; on the contrary. But we have to learn the lessons of the past 25 years of Oslo process failures, to which all sides contributed. It’s much more difficult today than before, but not impossible. We have to acknowledge that Oslo was not a peace agreement but an interim process, and this did not work. Thus we don’t need more stages but a comprehensive agreement that will replace the apartheid-like regime that Israel established and thereby save both Israel and the Palestinians. We cannot live safely in our homeland as long as the Palestinians do not live safely and fully independently in their homeland. We both must heal from past and present occupation infections and help each other to achieve this.